Winter roads are some of the most dangerous of all driving conditions. 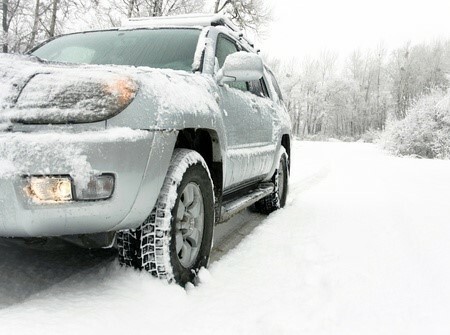 Before the first big snowfall, it’s a smart idea to get your vehicle ready. Winter car maintenance will keep it running in good health during frigid temperatures, and taking certain precautions will keep you safer in the event you become stranded. Frigid temperatures can be especially hard on car batteries. When the temperature plummets into single digits, your battery performs at about half the power it does in hot weather. Before winter really hits, you’ll want to check your battery and perform any necessary maintenance. 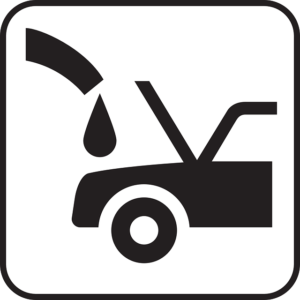 Check the fluid level of your battery, and if the fluid is low, add distilled water. On maintenance-free batteries, check that the window at the top of the battery indicates a fully charged state. If it’s more than five years old and shows signs of weakness, replace the battery with a top-rated model. And regardless of whether your battery is new or old, in good shape or worn, you should know how to jumpstart your car just in case. If, when running your windshield wipers, they leave streaks or miss any spots they should’ve cleared, it’s time to replace the blades. Wiper blades should be replaced every six months or so, but if you only manage to replace them once per year, be sure to do it before winter begins. Wipers that don’t perform at peak are especially dangerous in active winter storm conditions. An unobstructed line of vision while driving during a blizzard is essential, so don’t drag your feet on replacing your windshield wiper blades. Motor oil thickens when cold, making it harder for the engine to turn over. In the winter, you should be using multi-viscosity oil that has a “W” in the viscosity index, signifying that it’s formulated for winter use (always check your owner’s manual for the manufacturer’s recommendation just to be sure). Whenever you have the oil changed, replace the oil filter as well to ensure the system has the maximum amount of flow. Also, keep the coolant ratio at a 50/50 mix of antifreeze and water. If your tires are nearing the end of their life cycle, now is the time to replace them. You want your tires in the best possible shape to tackle the snow and icy road conditions ahead. If you live somewhere that only sees occasional snow throughout the winter, all-season tires will serve you fine. But if you live in an area that gets plummeted by snowfall and is essentially iced over all season long, invest in winter tires. Winter tires have tread patterns designed specifically to grip snow and ice for optimum traction on treacherous roads. If your tires don’t need replacing before winter, just be sure to keep them properly inflated, since big drops in temperature cause your tires to lose air. Even if you follow all the advice laid out above, there’s always a risk when driving in winter road conditions. Be sure to have an emergency kit in an easily-accessible place kept in your car at all times. This kit should include battery booster cables, an ice scraper, portable shovel, flashlight or flares, first-aid kit, fire extinguisher, cell-phone charger, blankets, long-lasting food items like protein bars, and water bottles. If you’ve been in an accident and your vehicle is in need of repair, contact Turk’s Collision Center. We offer top quality collision repair, quick turnaround time, and a lifetime warranty on our repairs. Check out what services Turk’s Collision Center can provide for you, or give us a call today at 309-694-2905.